Working out in your garage can be awesome! The only thing you have to realize after you drop the gym membership and start working out in your garage is that you are now your own janitor and all of your stuff (weights, CrossFit Equipment) will not clean itself. No, its not that bad, but you will be responsible for racking your own weights. 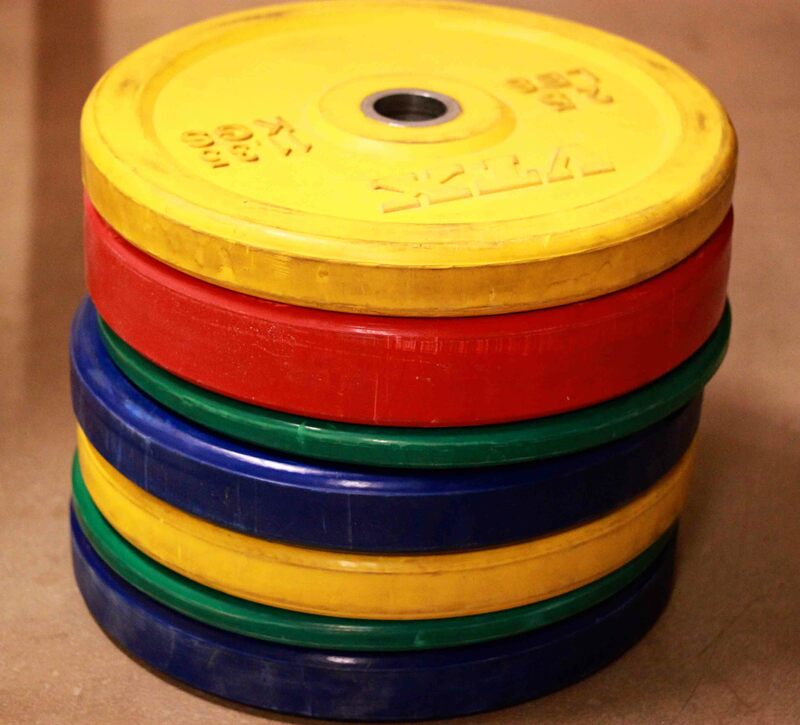 A few months of stacking your weights and having to move them all over the place gets old! Well this is not necessarily a “how to build” like the rest of the CrossFit Equipment posts, but more like a good idea. This project can be free! I am sure you can go to your local wal-mart or grocery store and ask for 1 wooden pallet and they would gladly give it to you. After you have scoured your town and procured your pallet simply set it in a corner in your garage and place the weights in the pallet. DONE!